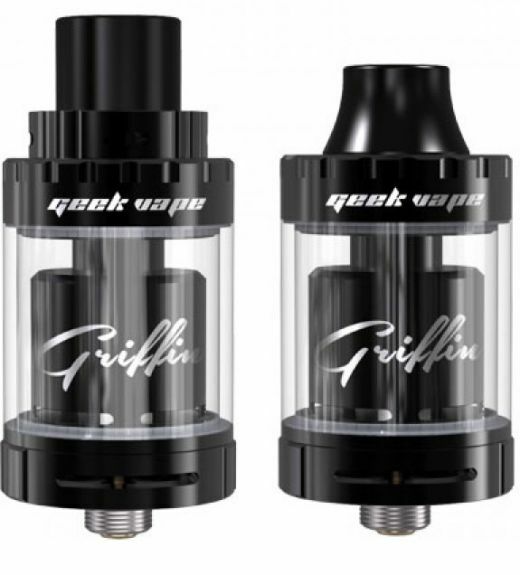 The GeekVape Griffin Mini RTA 25 is a smaller version of one of the best performing rebuildable tank atomizers to hit the market. This rebuildable tank utilizes a two post design with improved velocity style deck to maximize the tank's overall liquid capacity. 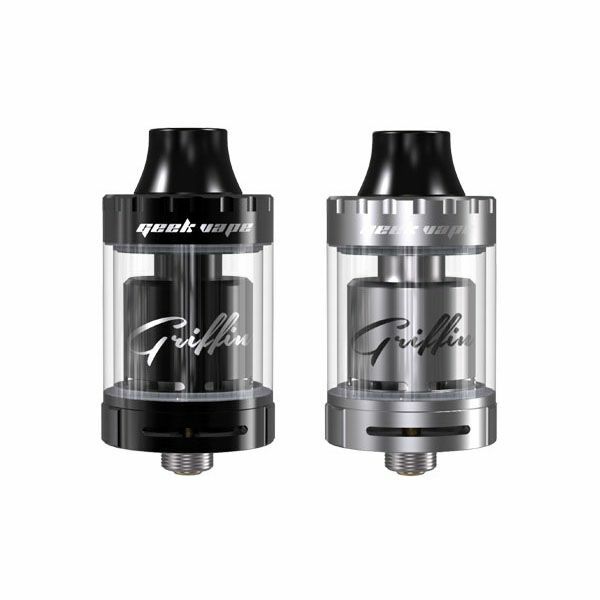 This tank uses a mess-free top fill feature with dual wide filling ports that allows you to achieve the maximum 3mL tank capacity in just a matter of moments without allowing any liquid to go to waste. The versatile 18mm build deck supports dual coil builds and it comes equipped with both a ceramic and silicone single coil adapter depending on your preference. This deck boasts advanced features yet it offers a simple to use platform for beginners and vape veterans alike. 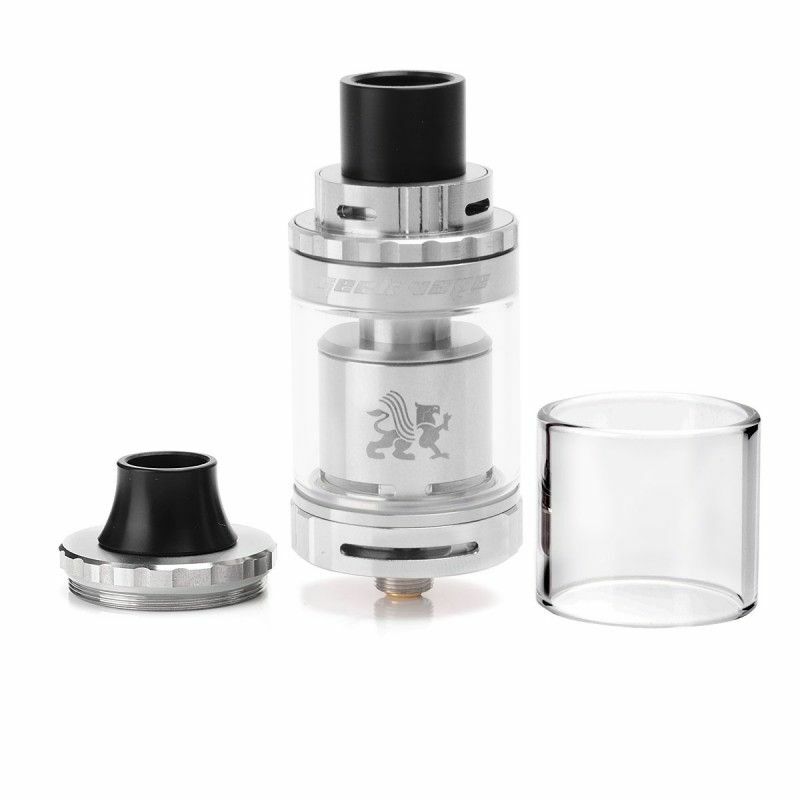 The Griffin Mini RTA 25 also features a dual adjustable airflow control system (top and bottom), a gold plated 510 contact, an American made PEEK insulator and it comes equipped with two different top caps, allowing you to customize the performance to match your liking.